It is wine sale time at two large wine retailers. BevMo has started up its quarterly BevMo 5 Cent Sale. Is it just a coincidence that the Safeway rolled out its “30% off all wines” at the same time? The Safeway sale also gives an additional 10% off when you mix or match six or more wines. Of the two sales, I must give the nod to the Safeway as the place to find more value and bargain wines. The Safeway wine sale will be on through the end of March. This week I will peruse the wine shelves at the Burlingame Safeway and report on any good wine deals. I found it at the Foster City Costco. It is mildly tannic making it a little dry with adequate fruitiness. 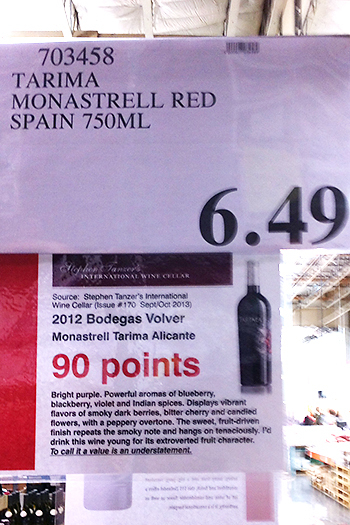 It is worth a try at $6.49 especially if you have never tasted a Monastrell wine. The Tarima Hill Monastrell is from the Alicante region of Spain. The Monastrell grape and the Mourvedre grape of France are one and the same. 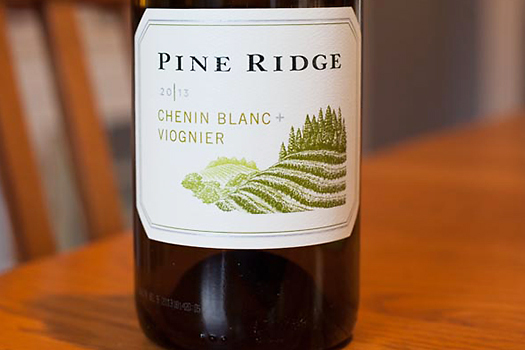 This is a wine that Vintage Wine Taster Joe reviewed in August of 2013. The interesting thing is that the exact same wine is back in Costco but with a different label. It might be that they had more wine in the barrel and repackaged the wine with a new look. This is a very good bottle of wine, if not excellent, right out of the bottle. 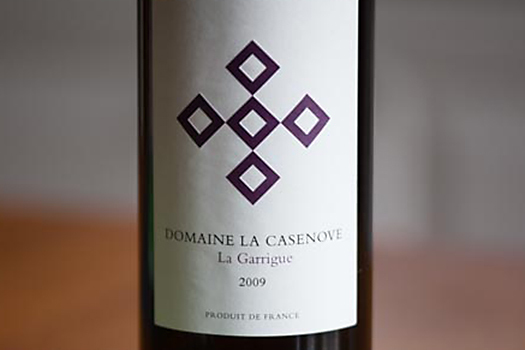 It is full bodied and rich, “with elegant tannins and a long finish.” This wine is from the Languedoc wine region of France and is a blend of Syrah, Grenache, and Carignane. Robert Parker gives the wine 92 Points. I will go back to purchase more bottles of it. I consider it a real buy. This is at the SSF Airport Blvd Costco. Don’t miss this one. This is a big robust red wine and perhaps a little harsh. 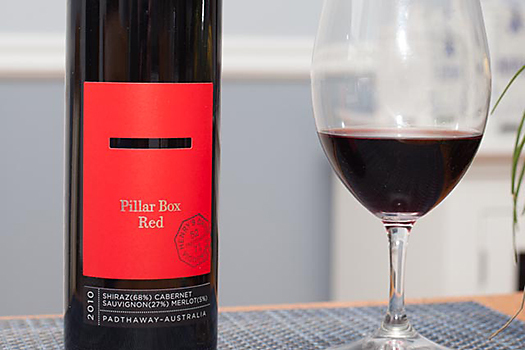 It is a blend of Shiraz 68%, Cabernet Sauvignon 27%, and Merlot 5%. It is loaded with dark fruit flavors. The Shiraz gives off a load of spice. The wine is too big for me, but for heavy-duty wine drinkers this will fill the bill. Vintage wine taster Joe also tasted the wine and adds that the wine has an odd character in the taste that he did not care for. This coming week the Vintage Wine Tasters will meet to blind taste six select California Syrah wines priced under $20. We will follow up with a report on our findings.